Young Wairarapa musicians say jazz music is growing in popularity with youth. 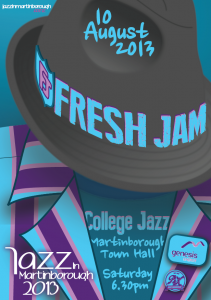 The third annual Jazz in Martinborough festival kicks off on Saturday with “Fresh Jam”, a night of jazz performed by young musos. 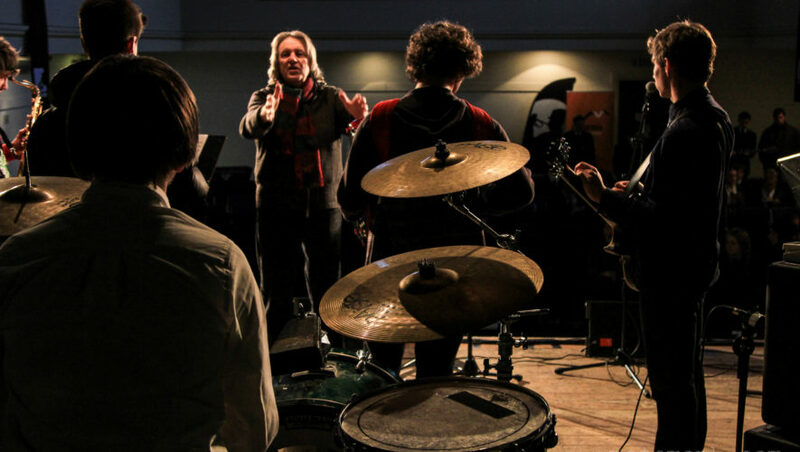 The youth jazz festival has evolved from a small afternoon workshop to a night of jazz performed by 50 college-aged youths from around the region. Wairarapa College music teacher Ivan Patterson said in his six years teaching at the school, he has noticed a definite trend in students keen to play jazz. There will be quite a “big bunch of kids” from the college playing at the festival, he said. “A few years ago there weren’t any youth jazz bands in Wairarapa. “There’s a revival in the interest of jazz around the world. I’m not sure why, but it’s lots of fun to play.” Mr Patterson, who used to play jazz trumpet, has been a big influence on music students at the school. Wairarapa College students Eddie Kerr and Fiona Thomson said he had broadened their minds with not only jazz music but classical and modern, contemporary music. They were part of the jazz festival last year and will be playing again this year. They are both part of college jazz band Mojo, made up of around 15 students, who will kick off the festival night. Eddie, who has been playing the drums for 10 years, said jazz has become more popular among music students. “There’s a good jazz scene in Wellington.” Fiona has been playing the trumpet for nine years. The students have both been working hard in the lead-up to the festival, with extra practices. Fiona said they are taking part because they both have a passion for jazz. “And any performance opportunity is a good one.” She said the scene was growing because people were becoming more exposed to jazz. Eddie plans to study music next year at university in Wellington. Fiona wants to do something different but will keep playing as a hobby, she said. They say the audience can expect lots of fun upbeat sounds, and loud horn and drum sections. Goodbye Pork Pie Hat by Charles Mingus will be one of the pieces they’ll play. 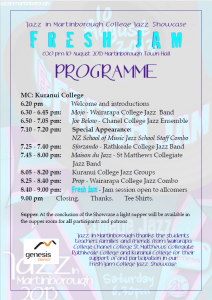 There would be performances from Chanel College, Rathkeale College, Massey Jazz School, St Matthew’s Collegiate and Kuranui Jazz groups. The event will be held at the Martinborough Town Hall which will be filled with about 150 friends and family. The Fresh Jam youth jazz festival is a pre-cursor to Jazz in Martinborough which officially runs from August 29-September 1. 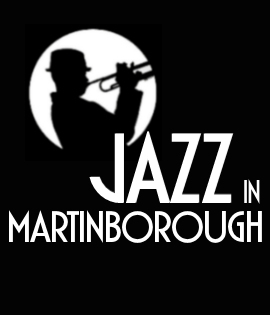 Proceeds from Jazz In Martinborough 2013 will go towards Martinborough Town Hall improvements. See a video of the 2013 Fresh Jam (Film by Sinfer Films: Henry Sinclair Y13 and Tom Feringa Y12, Makoura College).